By Kamran Zamanian, Ph.D, and Sean Collins, iData Research Inc. The left atrial appendage (LAA) is a small cavity located in the wall of the left atrium. The appendage has received significant medical literature coverage in recent years for its role in generating stroke-causing blood clots in patients with non-valvular atrial fibrillation (AF). More recently, the devices designed to close the LAA have become a popular subject for debate among AF patients, regulatory officials, and medical device enthusiasts alike. Some AF patients take a blood-thinning medication, such as Coumadin, to reduce the risk of clot formation and stroke. However, many AF patients are unable or reluctant to use blood-thinning medication due to the negative side effects, such as increased risk of bleeding.1 These patients seek alternative treatment options to manage the risk of stroke. As a major source of blood clot formation, the LAA plays a pivotal role in managing stroke risk in AF patients. As such, many AF patients seeking to avoid pharmacological therapy find closure of the LAA to be a suitable alternative. Closure of the LAA can be completed through traditional surgical procedures using sutures or staples, or through more advanced device-based procedures. 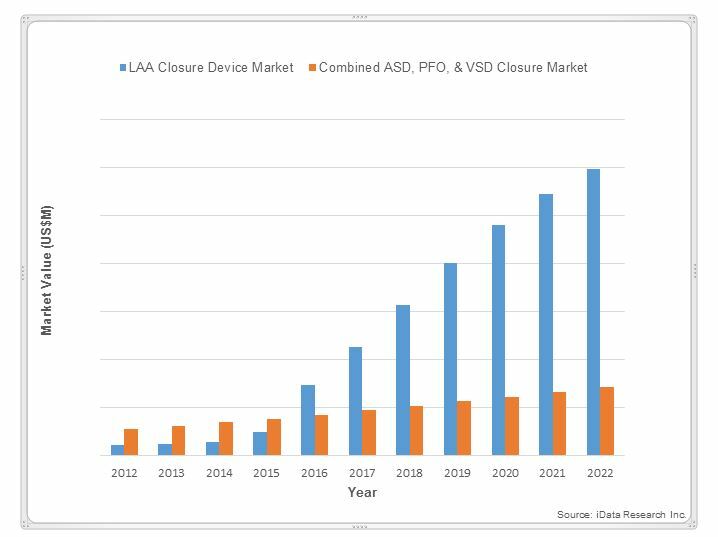 In recent years, traditional surgical procedures have been shown to yield incomplete closure,2 while more advanced device-based procedures have become more common.1 These dynamics have driven growth in the penetration rate of LAA closure devices. 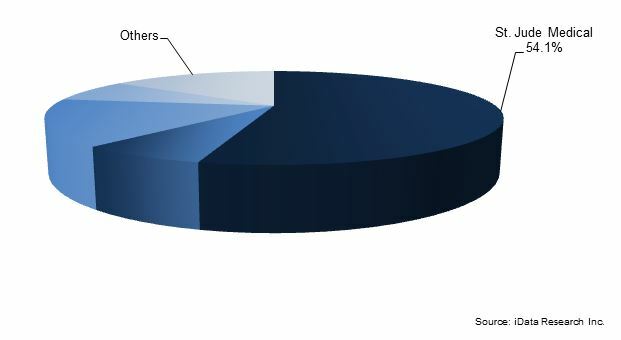 Improving AF detection technology and a growing elderly population have increased the prevalence of AF strongly in recent years.4 In turn, the rising prevalence of AF has increased the need for treatment and translated to a surge in the demand for LAA closure devices. LAA closure devices can be classified as endocardial or epicardial, in accordance with the way in which they close the LAA. Whereas endocardial LAA closure devices enter the vasculature through a transseptal puncture and seal off the LAA from within, epicardial LAA closure devices are applied to the outside of the LAA and squeeze the LAA shut. However, negative press for the TigerPaw and Lariat has translated positively for AtriCure, strengthening its position in the epicardial space.3 The FDA’s approval of Boston Scientific’s WATCHMAN device for use in LAA closure in patients with non-valvular AF and the ability to take blood-thinning medication gave birth to a market for endocardial LAA closure devices in the U.S. and has driven substantial growth in the value of the total LAA closure devices market.7 Boston Scientific is expected to leverage its position as the provider of the only endocardial LAA device with FDA approval to gain market share in the coming years. 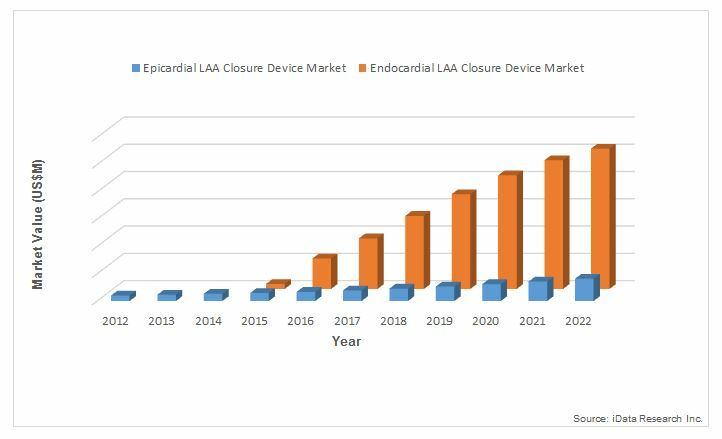 The increasing prevalence of AF and the penetration rate of more advanced device-based LAA closure procedures are expected to drive growth in the U.S. market for LAA closure devices through the remainder of the decade.1-4 Rapid growth in the endocardial segment will be responsible for the majority of the growth in the total LAA closure device market, but growth in the epicardial segment will also make a positive contribution. The FDA also will continue to play an important role in defining the competitive landscape as the market expands. Sean Collins is a research analyst at iData Research and was the lead researcher for the 2016 U.S. Cardiac Surgery and Heart Valves Report. He is currently working on a report on the U.S. peripheral vascular market, scheduled for release by the end of 2015. Romero J, Perez IE, Krumerman A, Garcia MJ, Lucariello RJ. Left atrial appendage closure devices. Clin Med Insights Cardiol. 2014;8:45-52. Kanderian AS, Gillinov AM, Pettersson GB, Blackstone E, Klein AL. Success of surgical left atrial appendage closure: assessment by transesophageal echocardiography. J Am Coll Cardiol. 2008;52(11):924-9. US Cardiac Surgery and Heart Valve Device Market – 2016. iData Research. Accessed August 27, 2015. Piccini JP, Hammill BG, Sinner MF, et al. Incidence and prevalence of atrial fibrillation and associated mortality among Medicare beneficiaries, 1993-2007. Circ Cardiovasc Qual Outcomes. 2012;5(1):85-93. Colilla S, Crow A, Petkun W, Singer DE, Simon T, Liu X. Estimates of current and future incidence and prevalence of atrial fibrillation in the U.S. adult population. Am J Cardiol. 2013;112(8):1142-7. AtriClip LAA Exclusion System approval letter.S. Food and Drug Administration Web site. Published July 31, 2012. Accessed August 27, 2015. WATCHMAN LAA Closure Technology approval letter.S. Food and Drug Administration. Published March 13, 2015. Accessed August 27, 2015. LARIAT Loop Applicator approval letter.S. Food and Drug Administration Web site. Published March 10, 2006. Accessed August 27, 2015. FY2016 Hospital Inpatient Final Rule. Boston Scientific. Published August 2015. Accessed August 27, 2015. Lariat Suture Delivery Device for Left Atrial Appendage (LAA) Closure by SentreHEART: FDA Safety Communication.S. Food and Drug Administration Web site. Published July 13, 2015. Accessed August 27, 2015. Tiger Paw System II by Maquet Medical Systems: Class I Recall – May Cause Tears and Bleeding in Heart Tissue.S. Food and Drug Administration Web site. Published May 7, 2015. Accessed August 27, 2015. Coherex Medical announces CE mark for the WaveCrest LAA Occlusion System. Coherex Medical. Published September 3, 2013. Accessed August 27, 2015. Jude Medical Receives CE Mark of Next-Generation Cardiac Device for Stroke Prevention. St. Jude Medical. Published January 18, 2015. Accessed August 27, 2015.